Values in Christian living are so important as you portray Christ's love to a lost and dying world. They represent your devotion to God, having true fulfillment and freedom in your spiritual life, and helping you create a meaningful relationship with the Lord. When you first become saved, your whole life and outlook on life changes with it. It is a progression of different things that turn around within your being. The things you used to do, you don't do them (or don't want to do them) anymore. The places and people you used to hang out and socialize with, you become drawn away from because the Holy Spirit is changing and transforming you into someone who is like Christ. I find that to be such a fascinating phenomenon! Therefore, what happens then, is that through the workings of the Holy Spirit in your life, your internal compass sets you on a completely different course than what you were once on since you were an unbeliever. In essence, your values change, and the particular importance you give to those things, people, and situations change also. As a believer and follower of Christ, you want to examine and analyze the world through His eyes. When you embrace those values that are spiritual in nature, and especially those that represent the gifts of the Holy Spirit, your faith becomes strengthened as well. The Fruit of the Spirit:These come from Galatians 5:22-23 that say, "But the fruit of the spirit is love, joy, peace, longsuffering, gentleness, goodness, faith, meekness, temperance: against such there is no law." These become the set values directed through the Holy Spirit within us as we become more Christ-like. Christian Character Traits: These demonstrate to the world that you are different-- separate for the Lord. These are marks of the believer. Traits such as compassion for others, forgiveness, stewardship, modesty, purity in thought, word, and deed, trustworthiness, boldness and courage in standing up for your faith, and so on. Spiritual Traits That Strengthen Families: establishing unity within the family, communication, appreciation for one another, thoughtfulness, grace, and a helping spirit towards each other within and without of the family unit. Learning about what is true masculinity and true femininity between the two sexes. There is also that of obedience to parents, to God in salvation, confessing of sins, repentance, hope and love within the family. 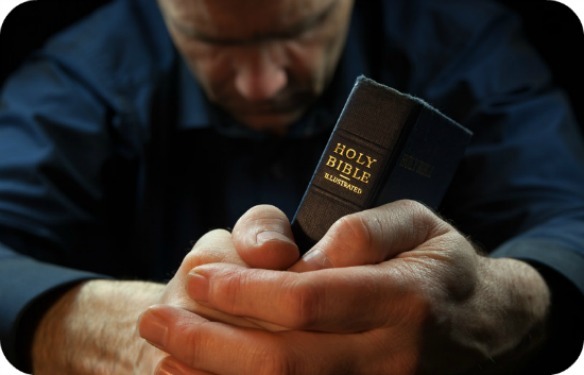 Righteous Conduct and Behaviors As A Christian: These include those character traits such as morality, modesty in dress and how one carry's her/himself, no using profanity, avoiding sibling rivalry, having patience with others, intolerance for sin, simplicity, frugality with one's finances, living a healthy life, practicing good eating habits and being fit physically (your body is the temple of the Holy Spirit). But most of all this includes living a holy life before the Lord in all things and having godly values. 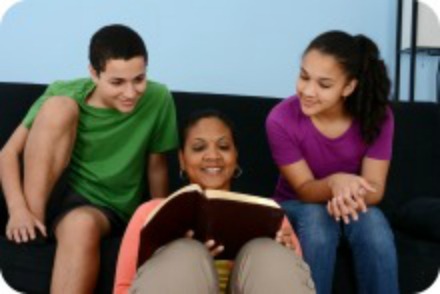 Godly grandparents can also help teach young children in the family many of these spiritual principles of holy living. Your principles and Godly standards indicate to others what you will do or won't do, that you are not one who will just "go with the flow" or follow the crowd when they are doing something that is clearly wrong in the eyes of God. Your own core values reveal a lot about your relationship to Him. When you know ahead of time what your position is in Christ, and that you belong to Him, then there is no fear, no contest. You do not have to wrack your brain trying to decide between what is right or what is wrong. Don't be tricked or confused by the wisdom and standards of this world. They will only lead you to sorrow, heartache and death. James 1:8 reminds us that, "A double-minded man is unstable in all his ways." I find that if I let up on my Christian standards even a little bit, then I give way to temptations even more. The point is to know ahead of time how you will think or act on any given situation. Just like you wouldn't drink gasoline (most of you wouldn't anyway) not just because it tastes bad, or that it's just not the thing to do, but you know it is toxic and very harmful to your health. You could die from it! So, therefore, you would not even be tempted to drink it. Your physical body and spiritual soul is valuable to you so therefore you have that set principle inside you to not harm yourself in this way. Colossians 3:8-10 says, "But now ye also put off all these; anger, wrath, malice, blasphemy, filthy communication out of your mouth. Lie not one to another, seeing that you have put off the old man with his deeds; and have put on the new man, which is renewed in knowledge after the image of Him that created him." Psalm 37:23 says, "The steps of a good man are ordered by the Lord: and he delighteth in his way." Philippians 4:8 instructs us, "Finally, brethren, whatsoever things are true, whatsoever things are honest, whatsoever things are just, whatsoever things are pure, whatsoever things are lovely, whatsoever things are of good report; if there be any virtue, and if there be any praise, think on these things." In conclusion, your core values and principles are what demonstrate to others what and how you believe, your faith and love for Christ, your devotion to Him, and your determination to live for Him in a world's system gone wrong. When you stray from these principles, you set yourself up for failure and much disappointment within your Christian life. Allow God to use you in a mighty way by embracing these spiritual standards he set out for you. Continue to serve Him at all costs! May the Lord bless you through these endeavors.